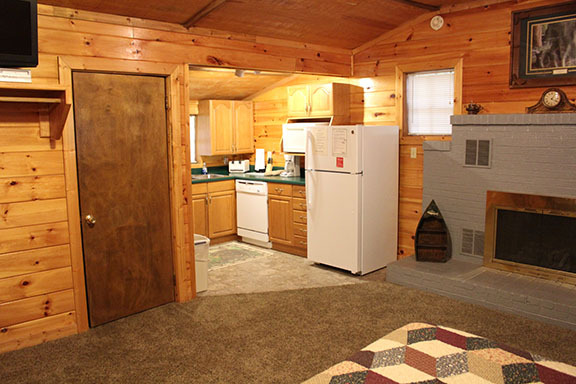 This beautiful mountain cabin sleeps 4. 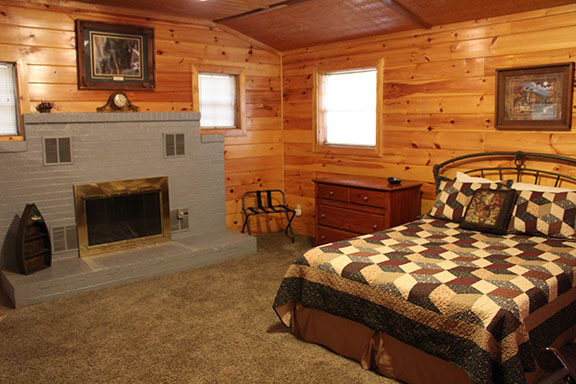 It is a one bedroom with a queen bed as well as a queen sleeper sofa. 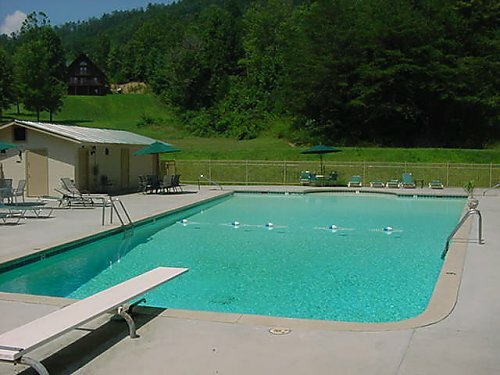 Resort amenities include a fishing pond, paddle boats and a swimming pool or simply relax in the hot tub. 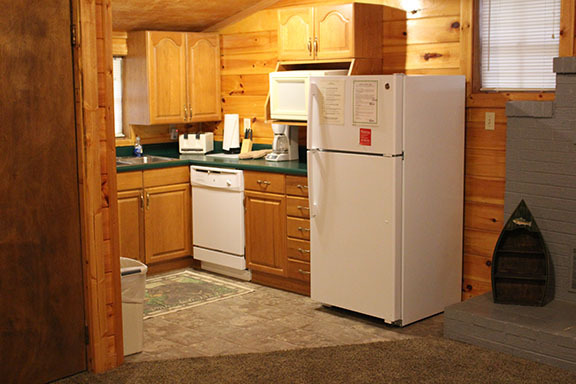 This cabin is set up with a studio style layout but includes a full equipped kitchen and washer and dryer. 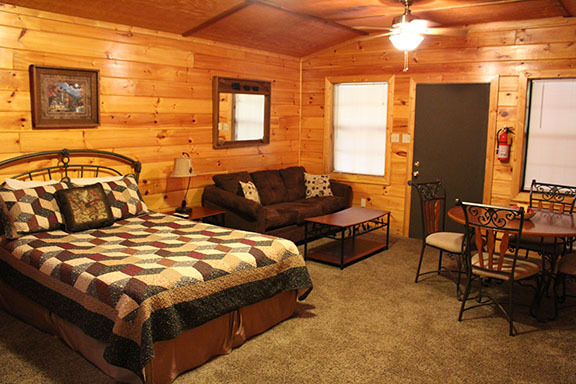 Bring your special someone and enjoy this intimately and cozy cabin in the mountains! Studio style with a queen size bed and a queen size sleeper sofa.